Ajax star Hakim Ziyech has had no shortage of interest with Fenerbahce among several clubs keeping close tabs on the winger. A source close to the Yellow Canaries revealed to Turkish-Football that Ziyech is a long-term target and has been scouted for well over a season. The Istanbul giants have made no secret they are admirers of the 25-year-old but may struggle to sign him following his agents latest comments. 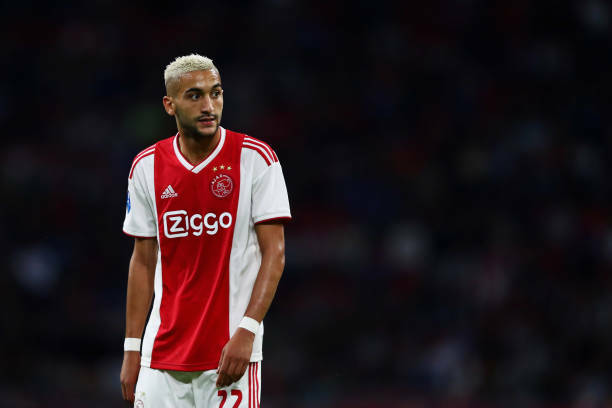 Roma have also been linked with Ziyech but agent Rene van der Dijp was pretty dismissive. Van der Gijp wants Arsenal or Liverpool – or a club of similar magnitude. Are Roma really that far behind the clubs mentioned? would Roma be considered a move attractive destination than Fenerbahce? Well they have Champions League football for a start. Van der Gijp did not appear particularly enthusiastic about the prospect of an Everton move either. As things stand neither Liverpool nor Arsenal have made a move for Ziyech. Fenerbahce are plotting a January move but may need to do quite a bit of convincing if they want to win over Ziyech’s agent.